On Saturday May 14th at 6:30 join us in the Multi-Faith Centre Main Activity Hall (Room 208, 569 Spadina Ave.) to hear from Judy Da Silva of Grassy Narrows, Glen Coulthard, and speakers from No One Is Illegal (Toronto); moderated by the Mining Injustice Solidarity Network. This panel will connect Grassy Narrows’ fight for justice with migrant justice and the violence of Canadian settler colonialism and imperialism. The violence of the colonial state can be clearly seen through struggles for Indigenous self-determination, similar struggles against Canadian corporate crime in the Global South, and struggles for the dignity of displaced migrants in the face of hardening border regimes on Turtle Island. Grassy Narrows has faced mercury poisoning and resisted clear cut logging, asserting their sovereignty and demanding colonial crimes be accounted for, On June 2nd Grassy Narrows people will travel 1,700 km to Toronto to call on Premier Wynne to finally clean up the 9,000 kg of mercury that were dumped in the river in the 1960’s. 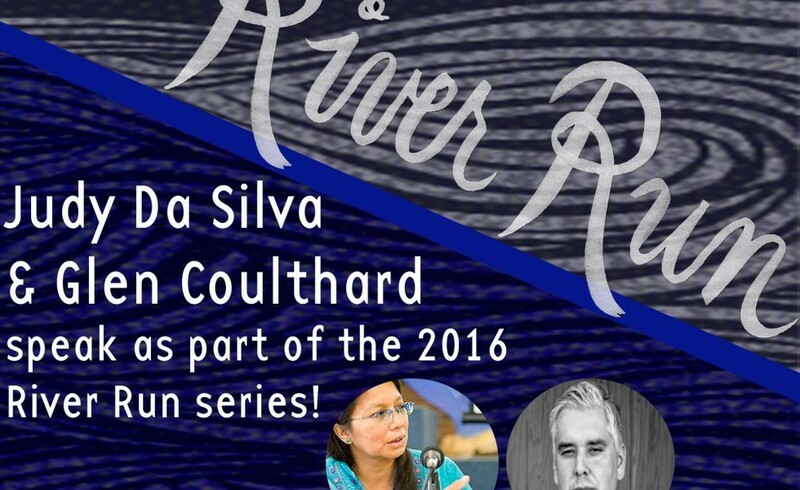 This is a great opportunity to learn more before the River Run and to connect our work building broad-based anti-colonial justice as we support the defense of the land. Judy Da Silva is a grandmother in the Asubpeeschoseewagong (Grassy Narrows) First Nations community on Treaty 3 lands in Northwestern Ontario. She is one of the most recognized and respected frontline land defenders on Turtle Island, having launched and sustained the longest-running blockade in North American history. This blockade has succeeded in getting the world’s largest newsprint company to surrender their logging license and has prevented all logging on Grassy Narrows territory for the past 8 years. This will be her fourth River Run. Glen Coulthard is Yellowknife Dene and an assistant professor in the First Nations and Indigenous Studies Program and the Department of Political Science at the University of British Columbia. He is the author of Red Skin, White Masks: Rejecting the Colonial Politics of Recognition (Minneapolis: University of Minnesota Press, 2014), winner of the 2016 Caribbean Philosophical Association’s Frantz Fanon Award for Most Outstanding Book and the 2016 Rik Davidson/Studies in Political Economy Book Prize. Stay tuned for info on additional speakers! This event is a co-presentation of the Mining Injustice Solidarity Network, No One Is Illegal- Toronto and OPIRG Toronto. The Multi-faith centre is wheelchair accessible. The closest accessible subway is Queens Park. We will have light refreshments, TTC tokens, and childcare. Please get in touch if you have any additional access needs!